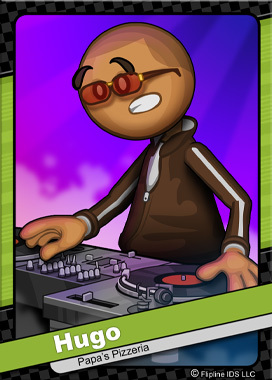 Hugo is a local DJ and avid record collector. On Wednesday and Friday nights he’s known as DJ Honey Buster at Club Atomic in downtown Tastyville. During the day, he runs Hugo’s Warped Records, a small shop specializing in rare vinyl records and music merchandise. One of his prized records is the first single of the Romano Family Quartet, “A Walk in the Field”.